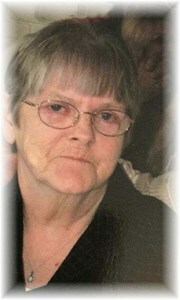 Linda L. Farr, 75, of Indianapolis, passed away on Saturday, March 23, 2019. Linda is survived by her husband of 58 years: Daniel E. Farr; children and their spouses: Mike E. & Jennifer Farr, Cheri L. & Mark Singhurst, Rhonda J. & Mark Johnson, Donna S. & James Schultz, Steve R. & Shelly Farr; grandchildren: Shannon, Stevie, Stephanie, Brandon, Roger, Tia, Jerry, Michael, Jon Christopher, Dale, Frances, Sarah, Leslie, Mark, Matthew; great-grandchildren: Bella, Caydence, Brayden, Brayson, Kyrstin, Alexis, Delaney, Nevaeh, Tyler, Trevon, Gracie, Hannah, Jorden, Jaden, Chloe, Connor, Mckenna, Amaya, Jackson, Mackenzie, Aiden, Madison; siblings: Lois & Joe Mathis, Wilma Marsh and a host of other family and friends. Linda was preceded in death by her mother: Edna Simpson. To share a memory of Linda or leave a special message for her family, please click the "Share Memories" icon above. Add your memories to the guest book of Linda Farr.